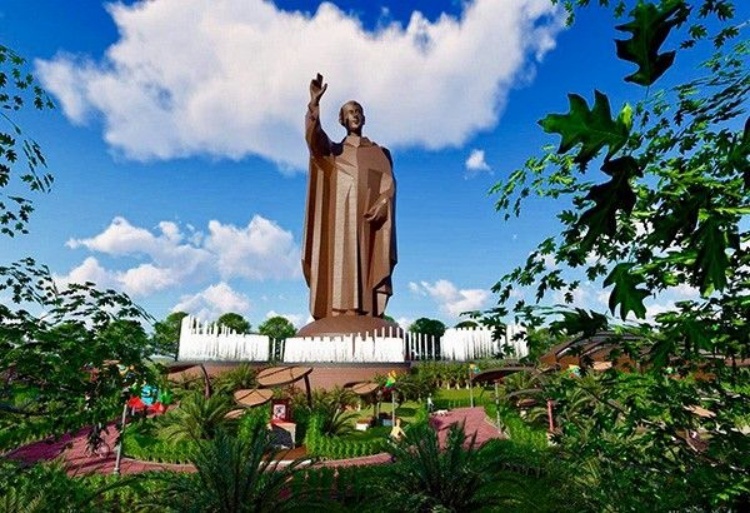 ST. VINCENT FERRER STATUE – A statue of Saint Vincent Ferrer standing over 50 meters set a new world record for the tallest bamboo sculpture last April 5. Back in 2018, Calasiao, Pagasinan broke a world record by creating the worlds largest ‘rice cake’ or ‘puto’ mosaic. Read more about the interesting record here. The formal announcement was made on the night of April 5, 2019. Brought by adjudicator Swapnil Dangarikar, the great news spread quickly and made the people of Bayambangueños feel proud and extremely happy. This is the same reason why they are so happy during the 405th founding anniversary also the 400th year of Saint Vincent Parish (from 1619 – 2019). The day was also the commemoration of the 600th death anniversary of the saint who was also referred to as the ‘pastor of builders’. This is according to the arcticle from Philstar. The enormous bamboo sculpture was initially made with steel frame and then coated with structured bamboo covers. It was also reported that it took 600 people and 10 months to finish the gigantic sculpture. It was also said that the sculptures ‘right hand’ already weighed a ton. Which is why careful planning should be considered to ensure perfection and avoid accidents. The planning of site development and detailed design was by JQS builders. Headed by Architect Jerry Suratos, Engineer Aaron Villafuerte and Jericho Roble, the designing of the sculpture was aided by 3D polygon technology. In charge of the steelworks were Far East Industrial Supply & Co., Inc. (FEISCO) and RAA Architects Engineers Consultants. And Palafox Associates prepared the land use plan. This is actually Bayamban’s second Guinness record. The first one was back in 2014 when they set the record for the longest barbeque grill that stretched up to 8 kilometers.